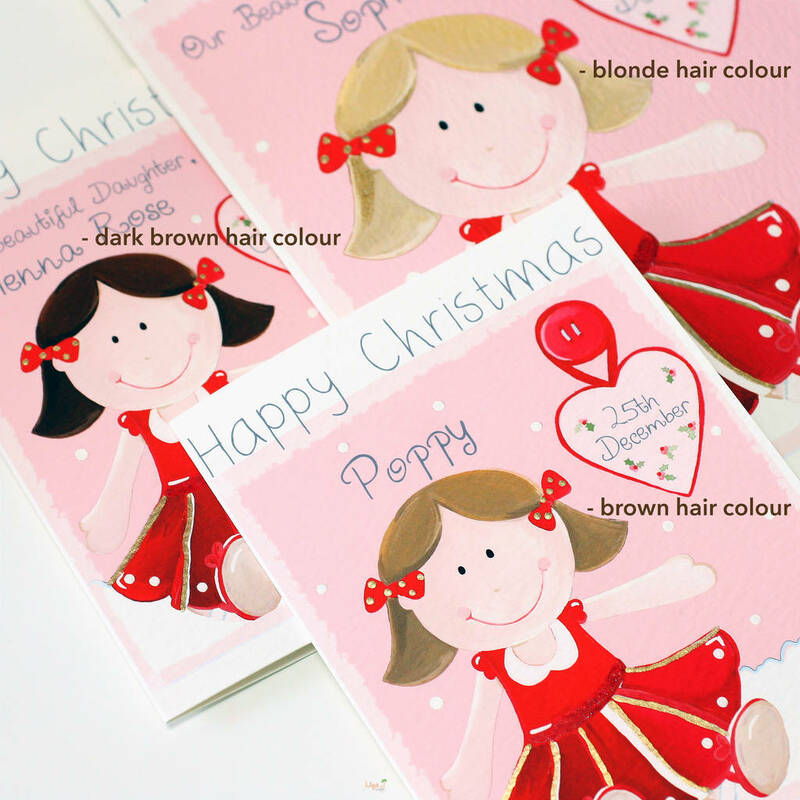 A baby girls first Christmas card featuring a rag doll and personalised with a name and relation: daughter, granddaughter, goddaughter, niece, sister, cousin. 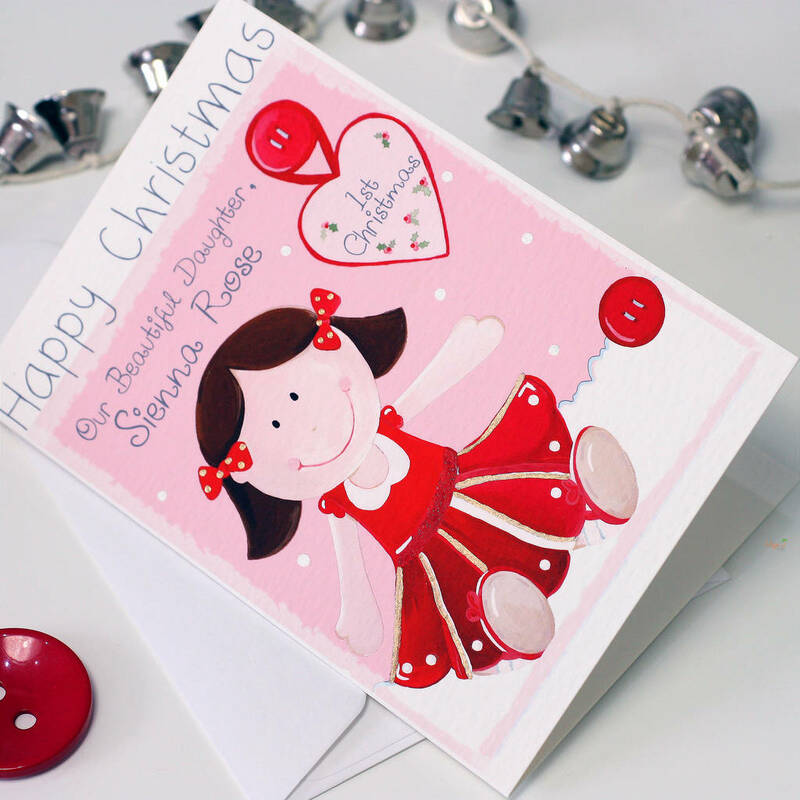 This greeting card is personalised for a baby's first Christmas and can be extra personalised with a girl relation (daughter, granddaughter, goddaughter, niece, sister, cousin) if required. The title reads Happy Christmas with the words 1st Christmas within the heart. 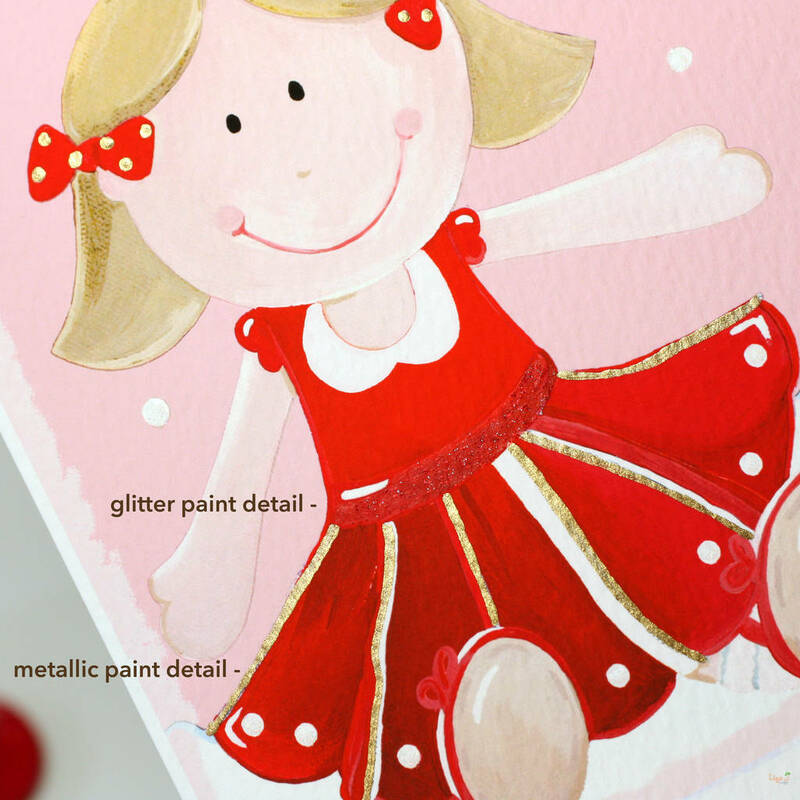 The card is hand finished with a touch of glitter and gold metallic paint detail on the dress. Specify hair colour (blonde, brown, dark brown or ginger). 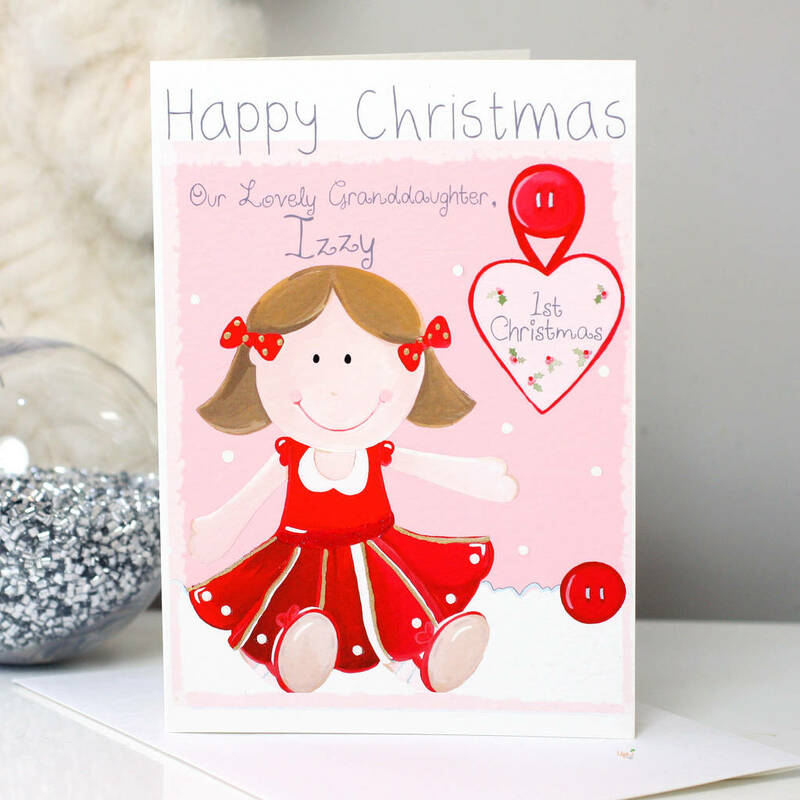 Specify words in title if required either beautiful, lovely, special or great (for a great granddaughter). 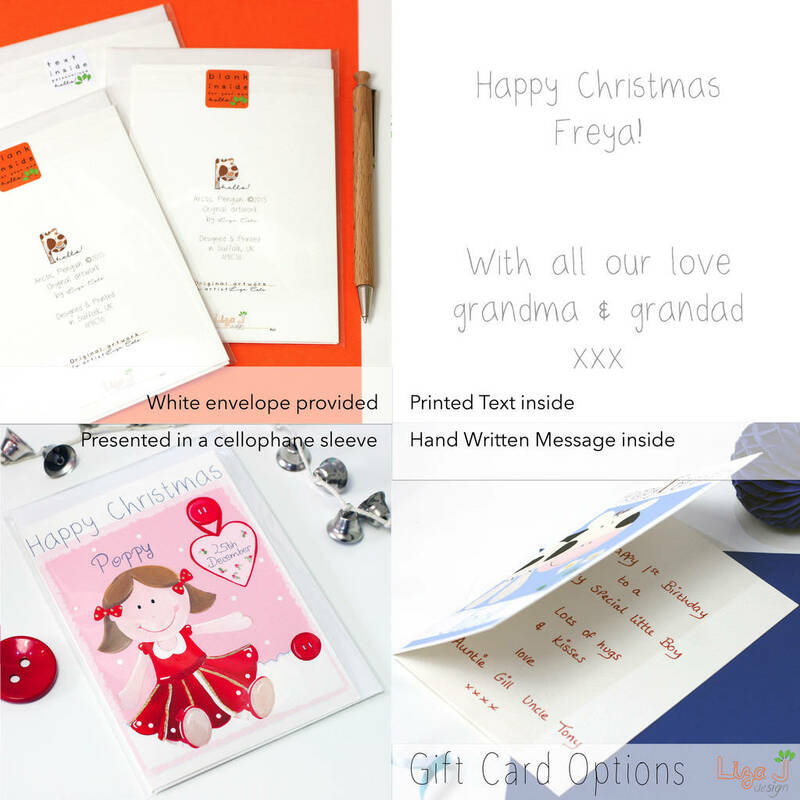 Specify recipient if required either daughter, granddaughter, goddaughter, niece, cousin or sister. Printed onto textured fine art paper 310gsm, supplied with a white textured peel & seal envelope and presented in a clear cellophane sleeve.